Are you flying Blind ? more than the button !!! 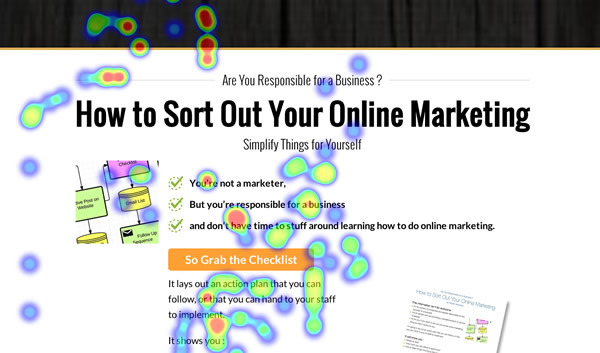 At the bottom of this post I’ll offer you a real-easy way to start using heatmaps on your own website. But first, this post lists some prerequisites you need to get in. 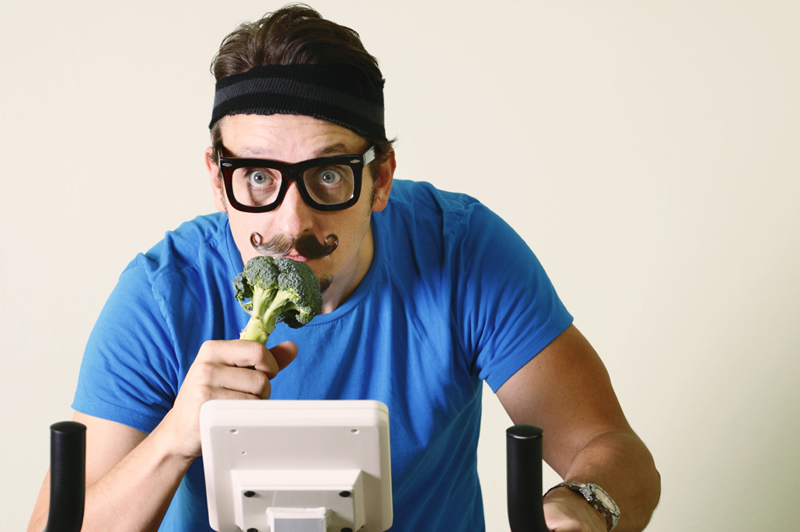 Step 3 – Finding out what people are doing along the way. When you pay for Google Adwords or pay Facebook to send traffic to your website, you want as many people as possible to contact you, leave you their email address or buy something. It’s really important when you market something that you pick a specific thing to push, with a specific goal in mind and then stay on-the-subject from the moment someone clicks on your ad or search result, right up to when they take up your call-to-action. What’s the call to action that encourages them to take up the offer ? What are the benefits that you should mention first ? Then last, what does the ad say that begins the conversation and will make sense when people arrive at the offer on the website page. Too often I see websites with an offer squeezed between competing messages. Mixing messages only distracts people and directs them away. When you send people to an offer you want to control their attention and encourage them to take one step, then the next, then the next and then take up the call-to action. Run an ad to the home page of your website that has a lot of different and mixed messages. Say one thing in your ad that doesn’t EASILY relate to the next thing people see on the web page. Create a specific page on your website for the offer you’re promoting. Make sure the message on the “landing” page is a logical next step in the conversation that started with your ad or search result. If there’s a picture on the page, and you’re advertising with banners or a Facebook ad, it’s often worthwhile using the same picture in the ad as is on the page. Then people know they’ve got to the correct page and that the conversation is continuing. When you’re running the campaign, track your promotion and measure the results so that you make the most of your money. We have another post that covers this and where you can download a spreadsheet that we use. Are people reading down a website page. Do they make it to your call to action ? Are they bothering to read your call to action ? When you know what’s happening with an offer on a website page, then you can adjust it and take control. Session recordings are animated screen-captures of a page showing the movement of individual visitors. These things allow you to see what your website visitors are concentrating their attention on and how they move over your website pages. crazyegg and ClickTale are 2 great heatmap & session recording services that have been around for a while. 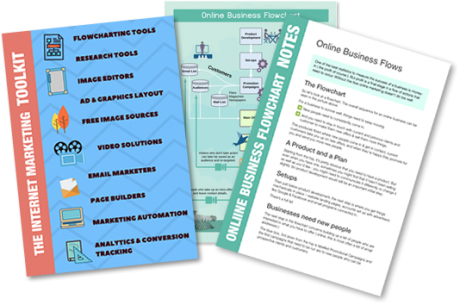 Their use has gradually filtered down from geeky internet marketers, to marketing departments in traditional business and more recently to small business owners. I’ve had a Clicktale free account for a couple of years. For free, it’s pretty good but there are restrictions, like no instant tracking, and it costs a minimum of $99 a month to upgrade. All of these services have similar deals. We actually invested in out own heatmap-tracking session software that lets us look at what’s happening on pages of campaigns without restrictions. These days, with Facebook, Google and similar services, highly-targeted offers can be delivered to really narrow pre-qualified niches. But a successful campaign is sequitur all the way – an ad targeting a specific thing is placed in front of a specific public, and it takes them to an offer regarding that specific thing only. 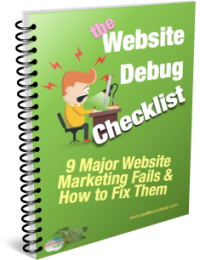 It usually involves testing about 20 different ads and creating about 20 different sets of pages and offers. You know in 6 hours if a campaign’s a winner or needs to be killed or modified. If you use good tools to spy with, you can adjust things fast and win.